I’m a skilled blogger and non-fiction author, interested in another 10 – 20 hours of work per week, but no more than that. Since 2008 I’ve freelanced for Slashdot, TechTarget, DevX, and a few others. Due to a pair of major heart attacks in 2010, I am no longer able to work full-time. I am as reliable and as skilled as ever; I just can’t take on as much work. Before 2008 I was Editor in Chief for SourceForge Inc. (formerly OSTG; originally Andover.net; now Slashdotmedia) from 1999 to 2008. Before that (in no particular order): Freelance reporter and editor, electronics tech, soldier, limousine owner/driver, cab driver and dispatcher, auto mechanic, sailboat bum, cook, and fiction writer (mostly short stories). Goals? Make the world a better place. Write about (and use and even help develop) new technologies. Come up with new methods of using the Internet as a news medium that fall in line with my basic online news thesis, once derided but now widely accepted, that the Internet is best used for dialogues, not monologues. Specialties: Writing, editing, and video production. Building scalable, sustainable online communities. Finding, training, and retaining capable employees, and building creative teams. I have written three books for Prentice Hall and have co-written, ghosted and edited several others. One of my ongoing projects is a weekly column called Cheap Computing. I am also partly or fully responsible for all Slashdot videos. You can see them at TV.Slashdot.org. 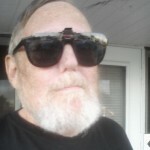 Oversaw editorial content on NewsForge.com, Linux.com, Slashdot.org and our other popular Web sites. Developed new content delivery methods and online video styles. Recruited and trained staff and freelance writers. Worked with marketing and sales executives to ensure site profitability while maintaining editorial integrity. Wrote for Time Life’s ‘Pathfinder’ site; did a weekly column about money-saving computer tips, plus assorted features. Left to join then-new Andover News Network, which became Andover.net, and later got bought by VA Linux and had its name changed to OSTG — after which the company changed its name to VA Software and more recently decided it was really SourceForge, Inc. ~ After all those changes, we might as well just call it VAST FOG. But that wasn’t enough. Then it became Geek.net. And now, in 2012, the company’s media properties have been sold to Dice.com, and I have no idea what they’ll end up calling this poor corporate orphan. Descriptions of notable online business successes and failures, with instructions on how to emulate the successes and avoid being one of the failures.